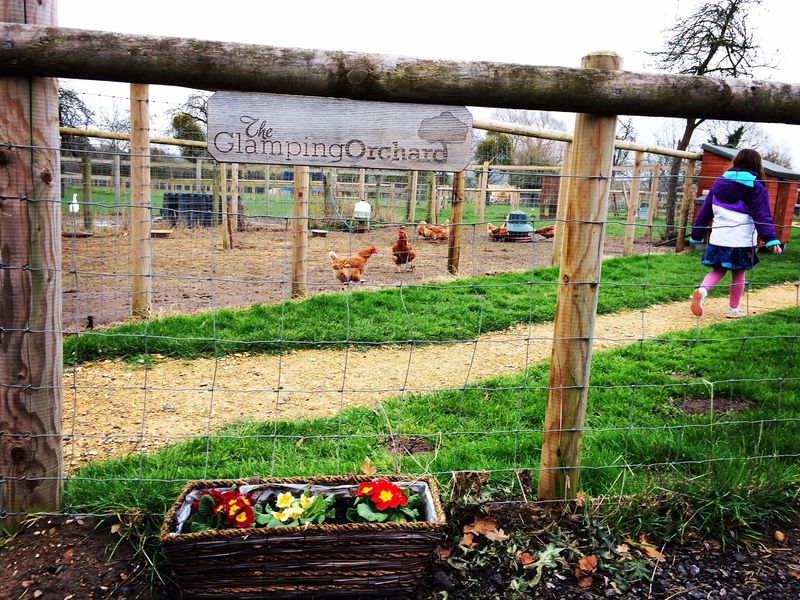 The Glamping Orchard is a working farm in the Severn Valley. 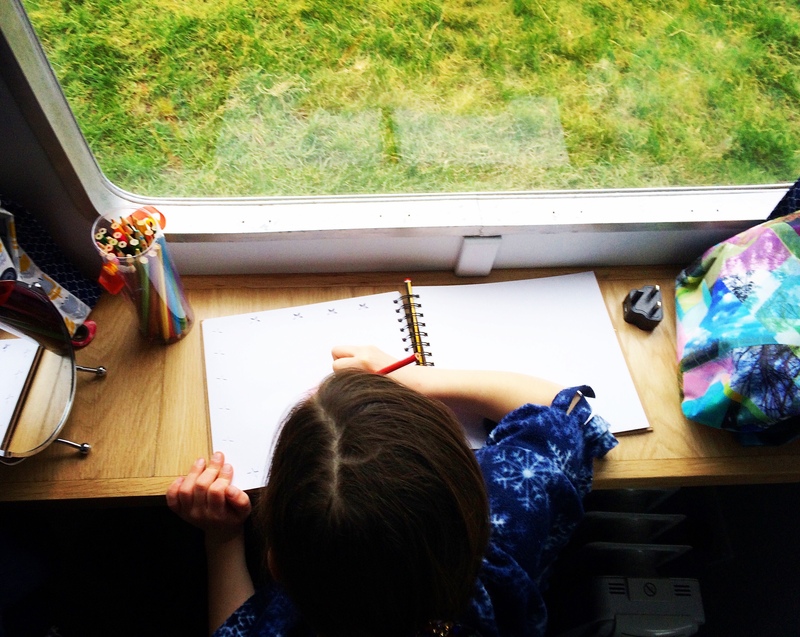 Guests can enjoy a taster of farm life whilst staying in a stunning 1950’s converted caravan or pretty bell tent, Belle. 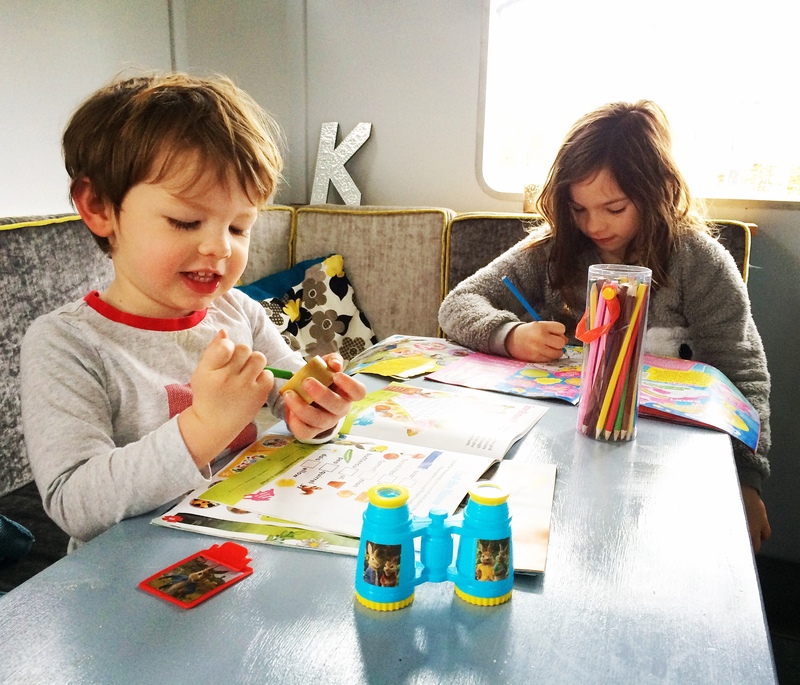 We were thrilled to be invited to stay in retro camper-van, the Warwick Knight earlier this Spring…with our excitement only building as we read up on the vehicle’s rebuild as shown on George Clarke’s Amazing Spaces. This was clearly going to be a special experience for us all! 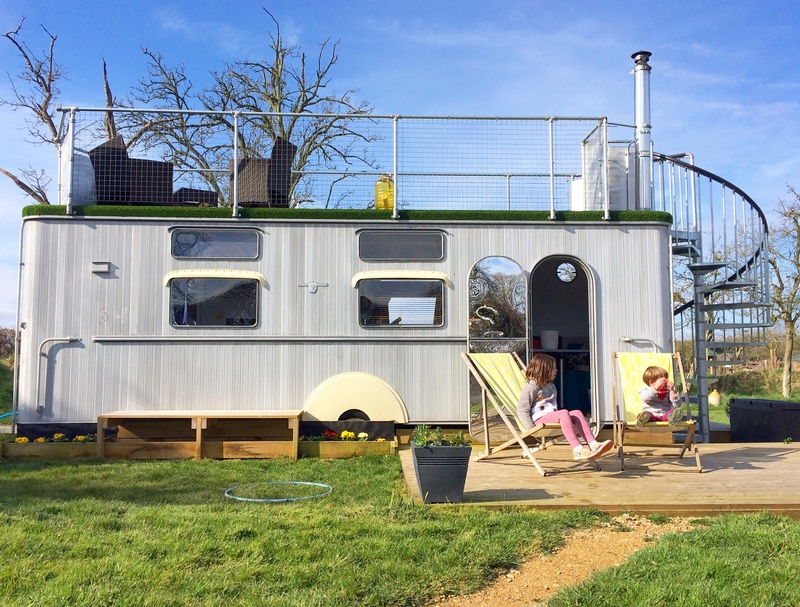 The Glamping Orchard is part of Peglass Farm, home to Ali and Rich Dyer and their two boys Monty and Jasper. They have painstakingly developed their farm over the past few years with their hard work finally paying off at the start of Summer 2017 when their toughest project, the Warwick Knight welcomed his first guests. 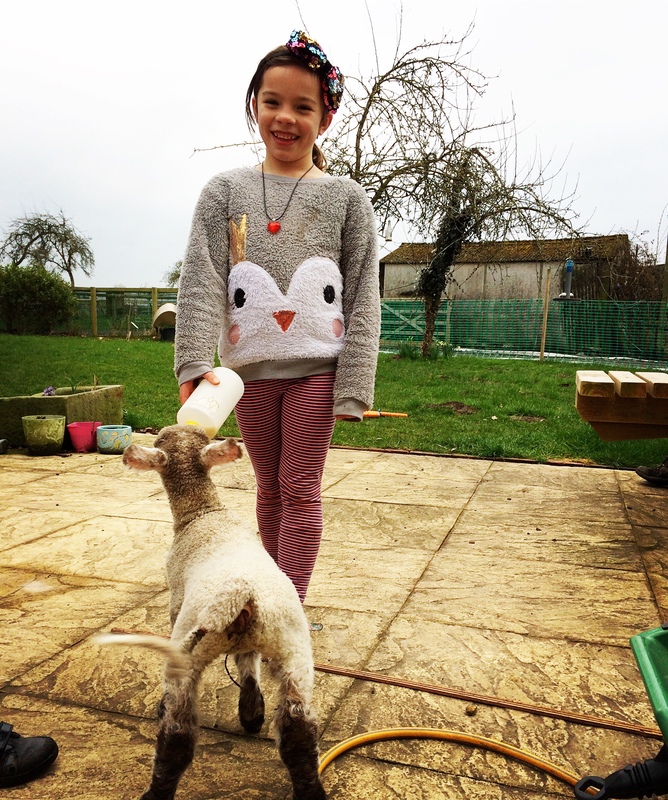 The farm is located in the village of Longney, 5 miles outside of the historic market town of Gloucester. 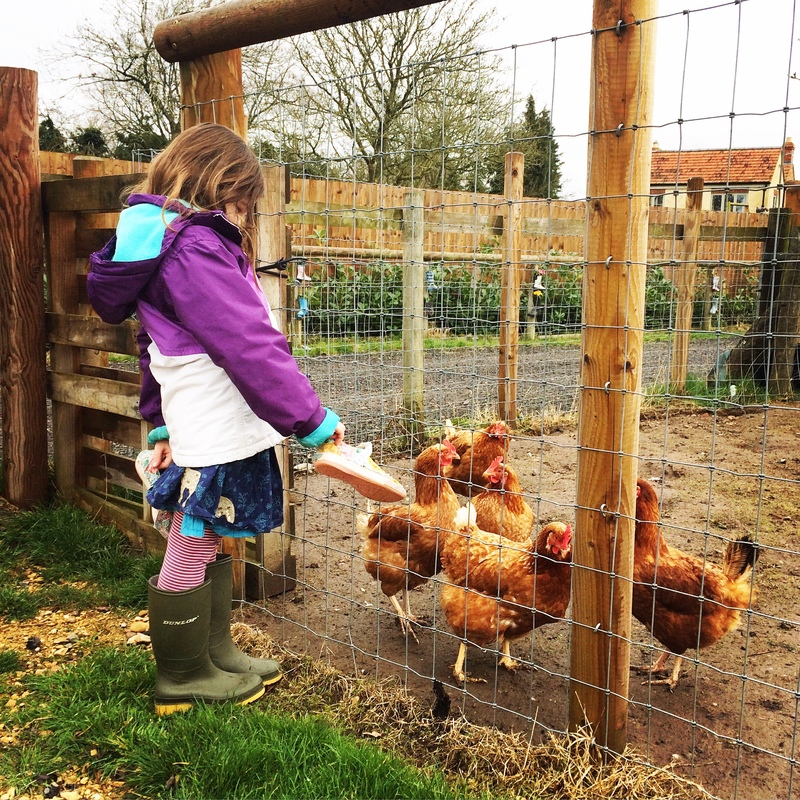 Well and truly off the beaten track the farm offers wide, sweeping views of the Severn valley and surrounding countryside. Life here is tranquil with the peace only being disturbed by birdsong and bleating lambs. Ali and Rich saved the run down Warwick Knight from destruction seeing the potential for creating a unique place to stay from the start. 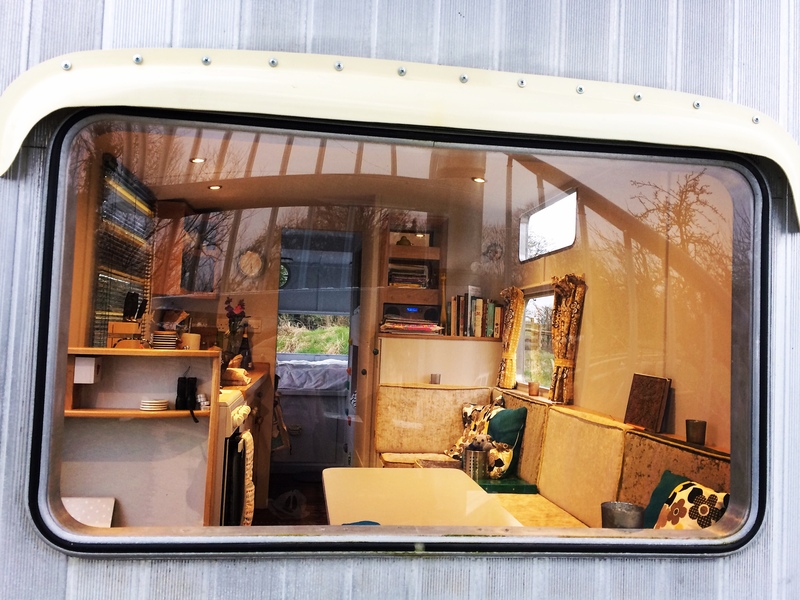 When they bought the van it looked ‘more like a cattle shed on wheels than a majestic machine for holiday adventures’…..but Ali & Rich saw something special under the algae covered exterior and so the project began. 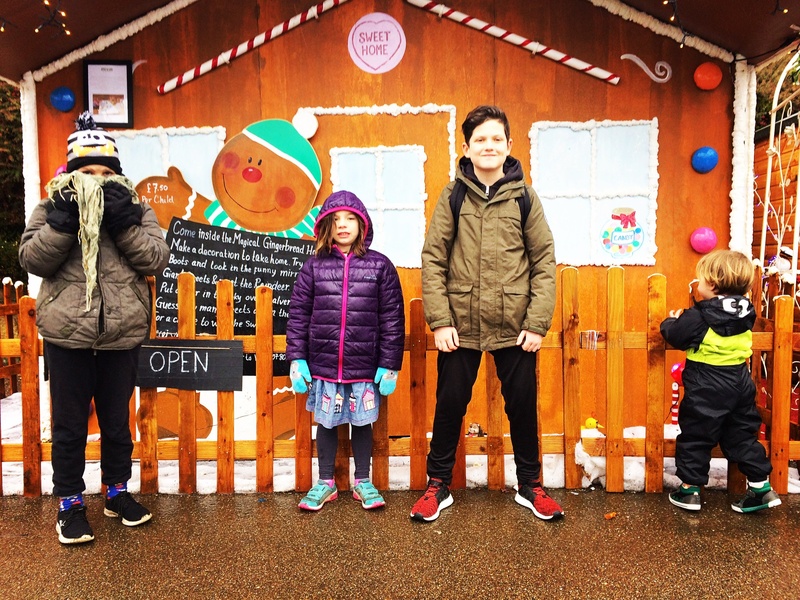 They got George Clarke involved in helping with the renovation with their story featuring in one of the episode’s of Channel 4’s Amazing Spaces. After months in the workshop the Warwick Knight now sits proudly in his Orchard and the dream has become reality. This really is a very unique and enchanting place to stay. The Warwick Knight has been restored to create an incredible, family holiday home with a smart and functional interior living space. 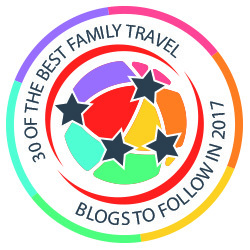 As we arrived at the farm we were directed to our parking space where we could unload our luggage onto a little trolley. 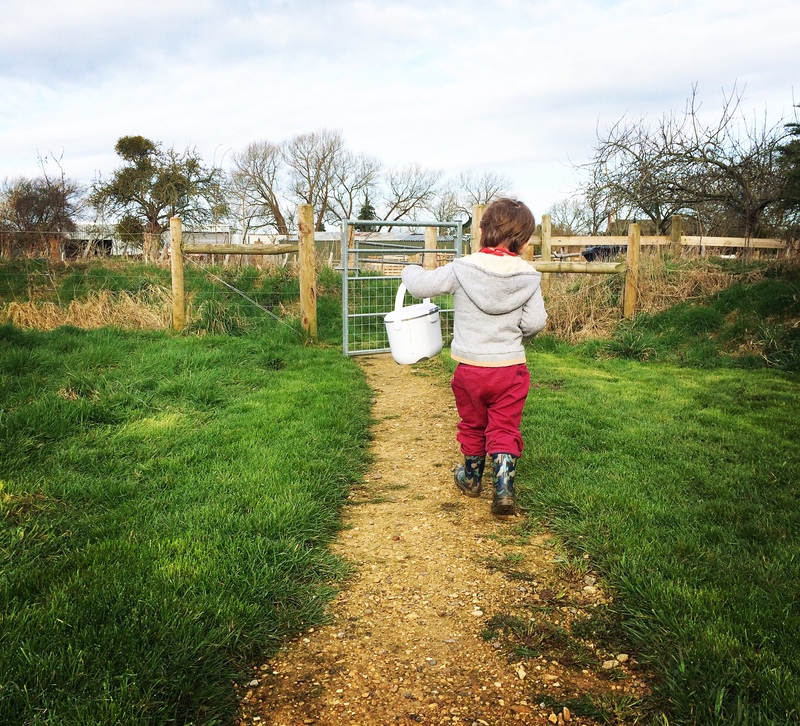 Ali guided us along a pretty fenced path, lined with pots of colourful flowers leading us past chicken coops, a sheep pen and a play field with a large trampoline. At the end of the path we passed through a small gate to enter the Glamping Orchard with the Warwick Knight stood right in front of us in all his glory. From the moment you open the mirrored front door and step inside, the Warwick Knight feels like a home from home. 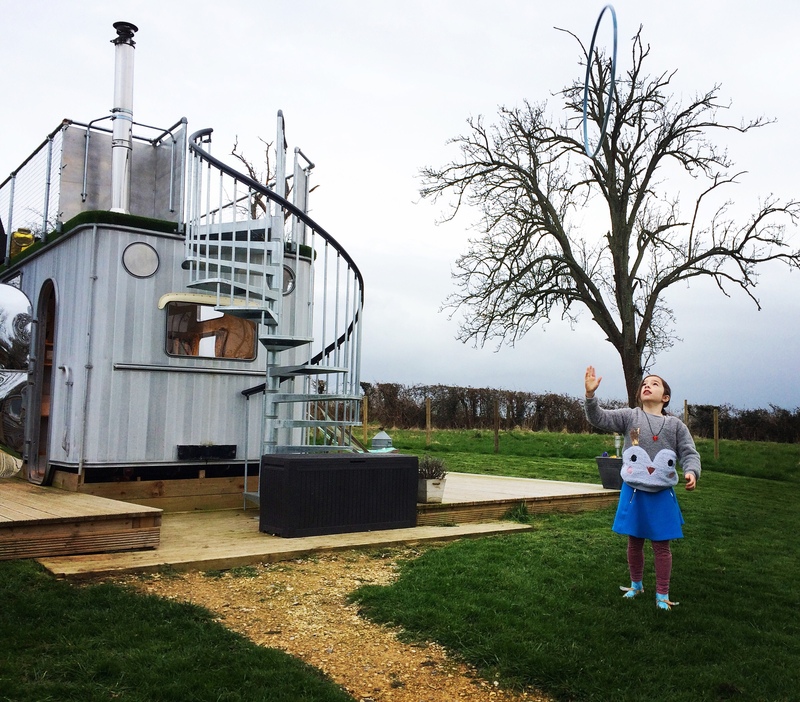 There’s a wood burner to keep it cosy, pretty cushions and curtains, a climbing wall to help the kids clamber into bed…and views of the countryside flood in through every window. We found cooking in the van very straightforward. There is a standard oven with hob for those who prefer mainstream cooking..or a metal small fire pit with grill outside for natural born campers. 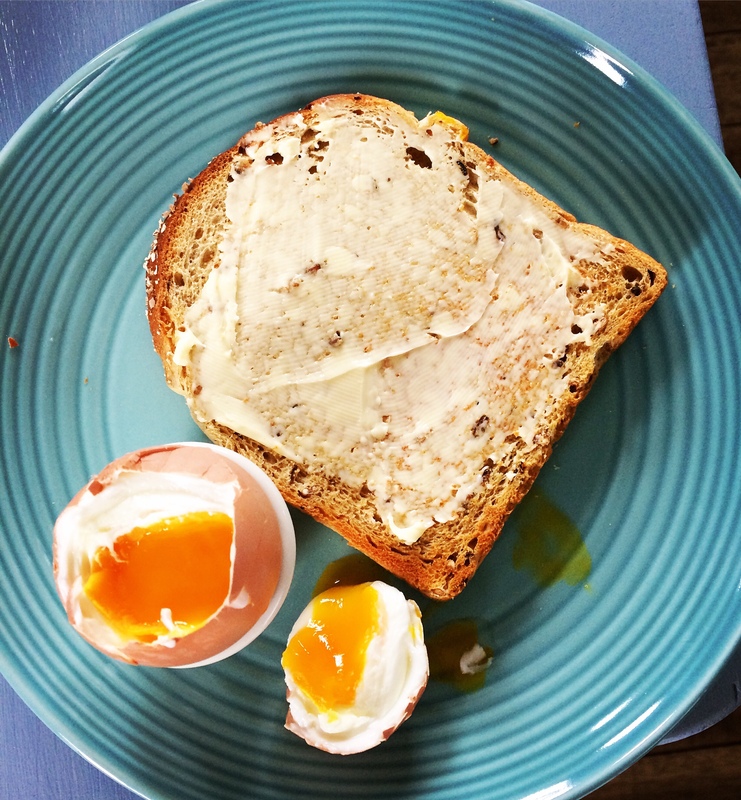 There’s a kettle and grill for toast with essentials such as tea, coffee and sugar all being supplied. 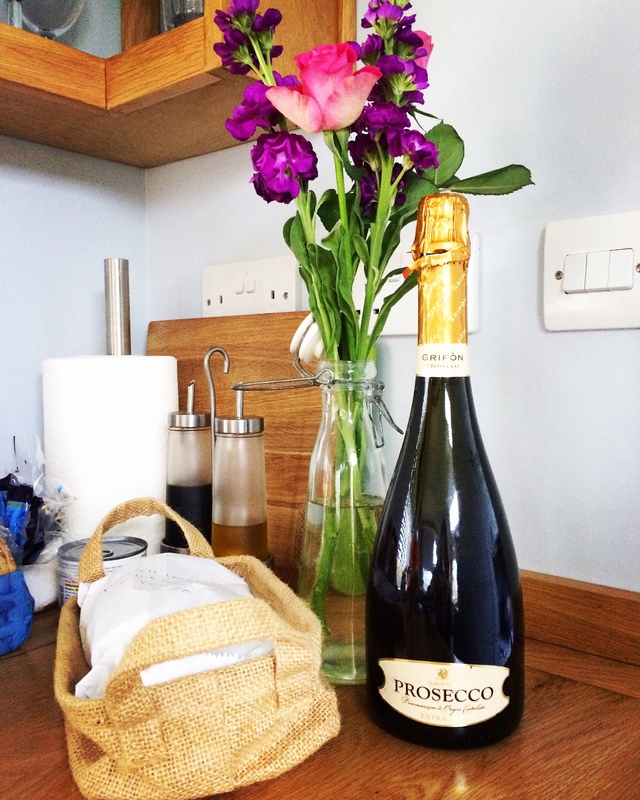 Best of all we were greeted by some delicious home made lemon cake and a bottle of Prosecco! That always helps start the weekend with a swing! We slept in a large double bed at one end of the van. The bed was comfortable and spacious with views of the surrounding fields beyond our toes. 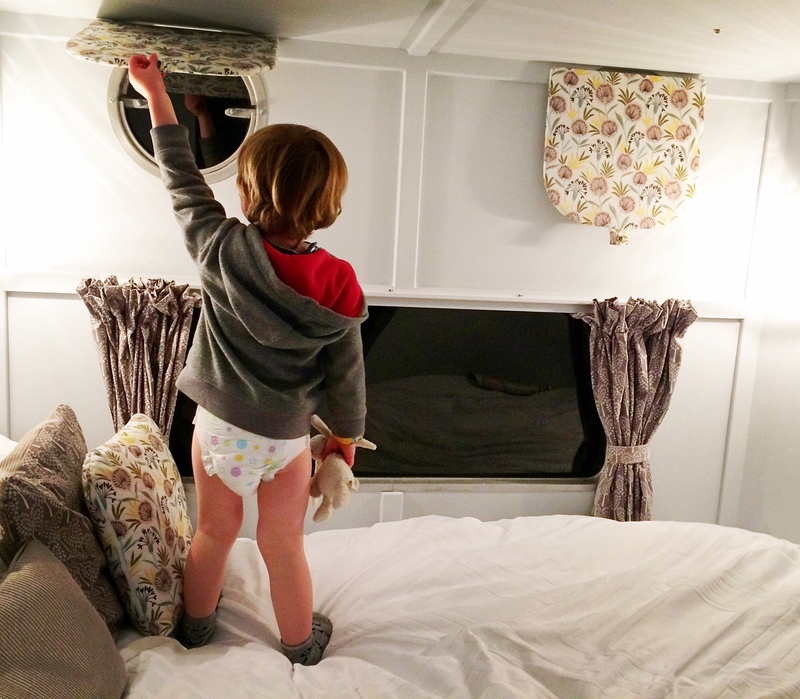 The children were thrilled with their bunks, one of the stand out features of the interior. 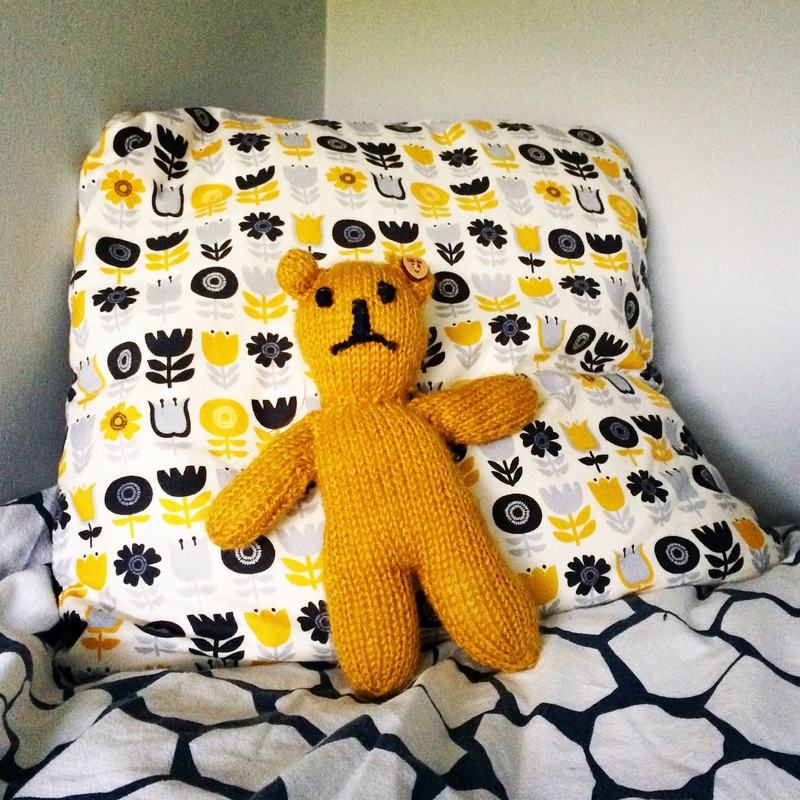 Each bunk is tucked into a cosy cubby hole each with it’s own light and hand knitted teddy. 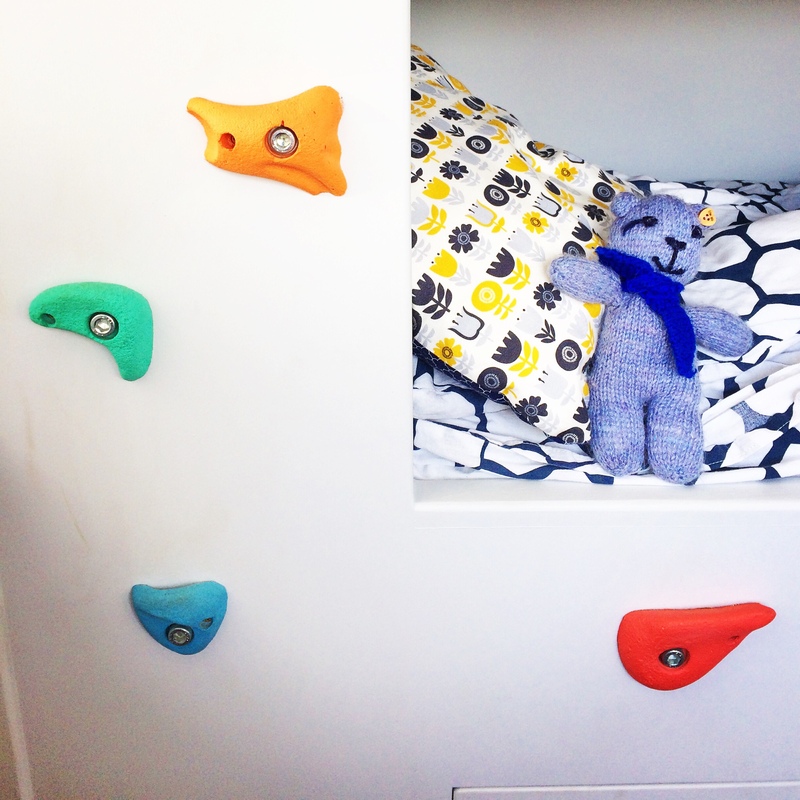 The children loved bright climbing wall bricks that led them up to the top bunk…they’ve never been so keen to go to bed! Washing and toileting facilities are both located outside of the van in their own little sheds. 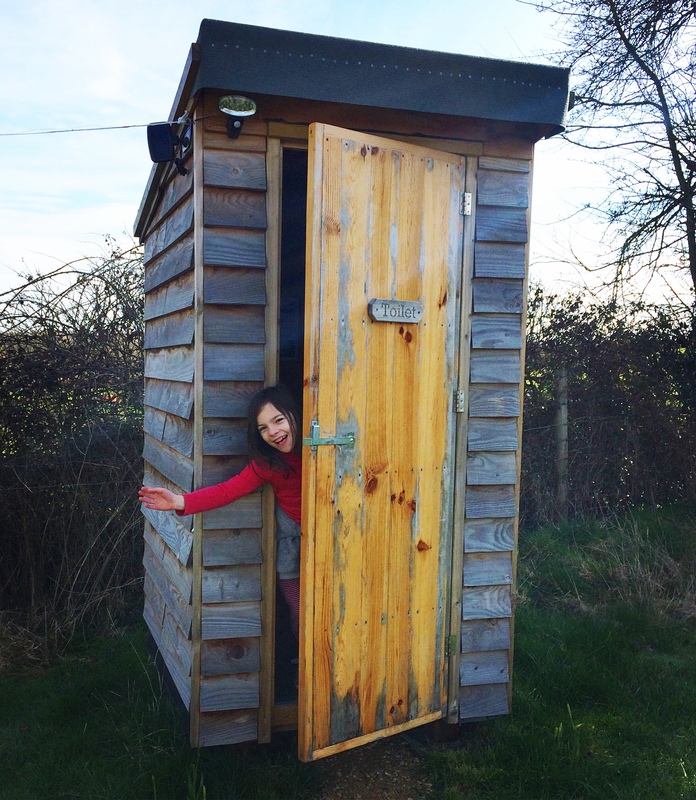 We found using the sawdust toilet a much preferable alternative to a chemical loo..and perfectly comfortable. Night time visits were made all the more manageable thanks to a solar panel light and good torches that come with the van. The shower room is something pretty special. 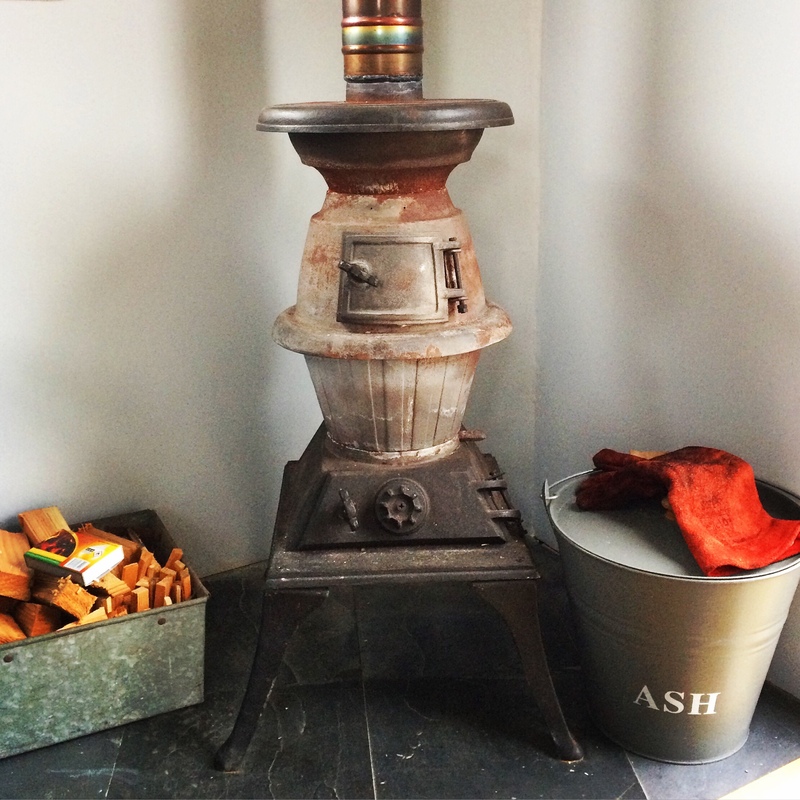 Water for the shower is heated by a wood fuelled stove. 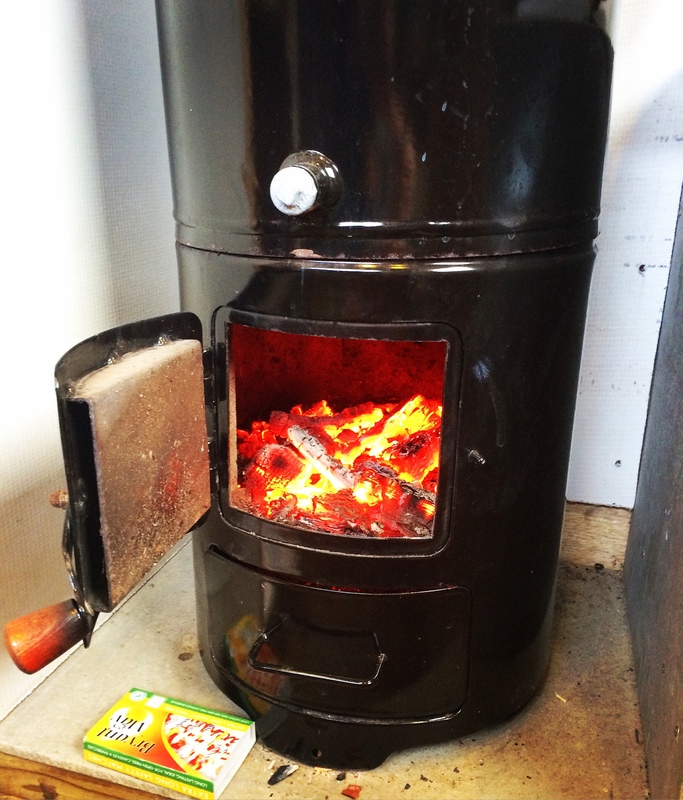 The stove was very simple to use..and once it’s cranked up the whole shed becomes toasty warm making for a very enjoyable washing experience..even when it’s cold outside. 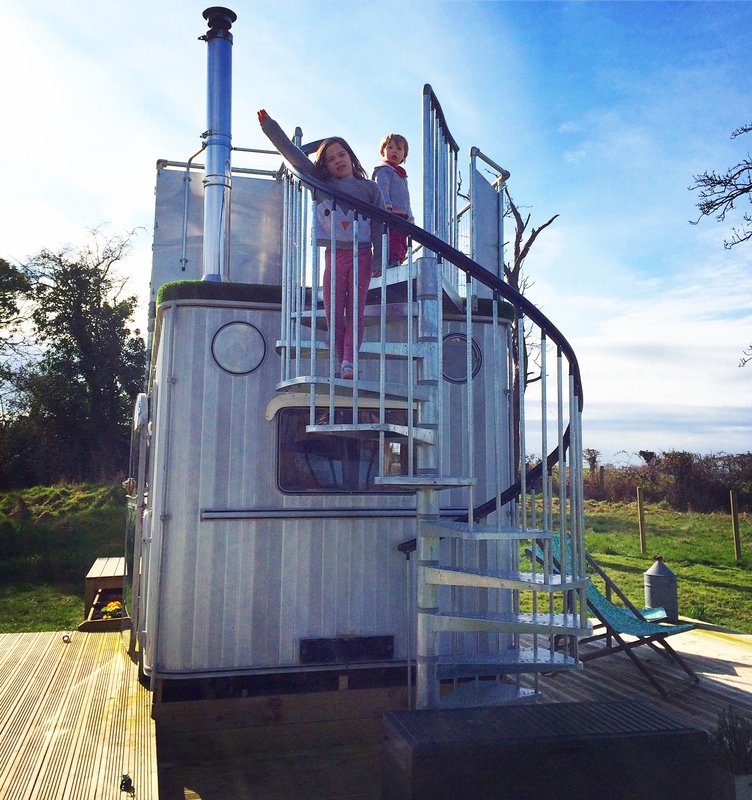 A visit to the Glamping Orchard offers more than just an unforgettable place to sleep. 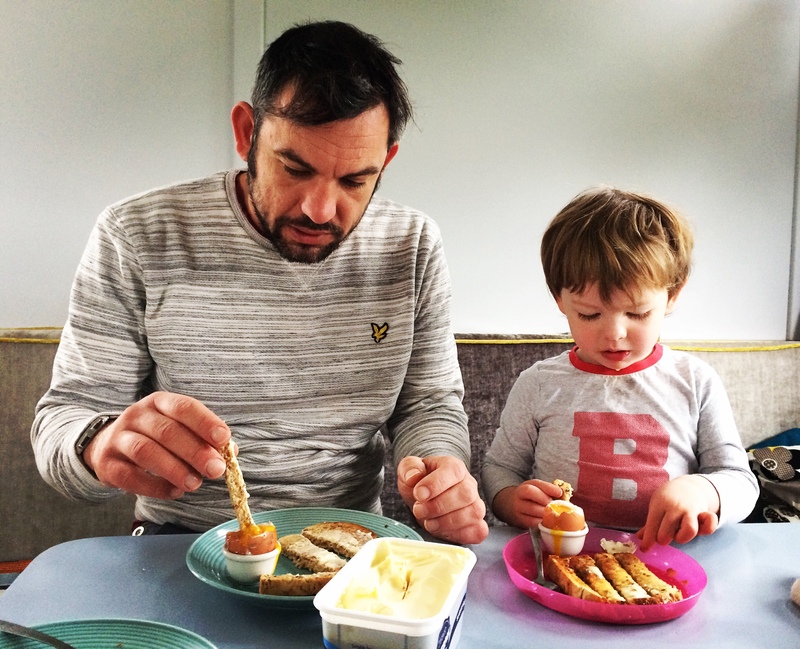 We were made to feel very welcome and at home on the farm putting our experience up there with some of our favourite breaks. 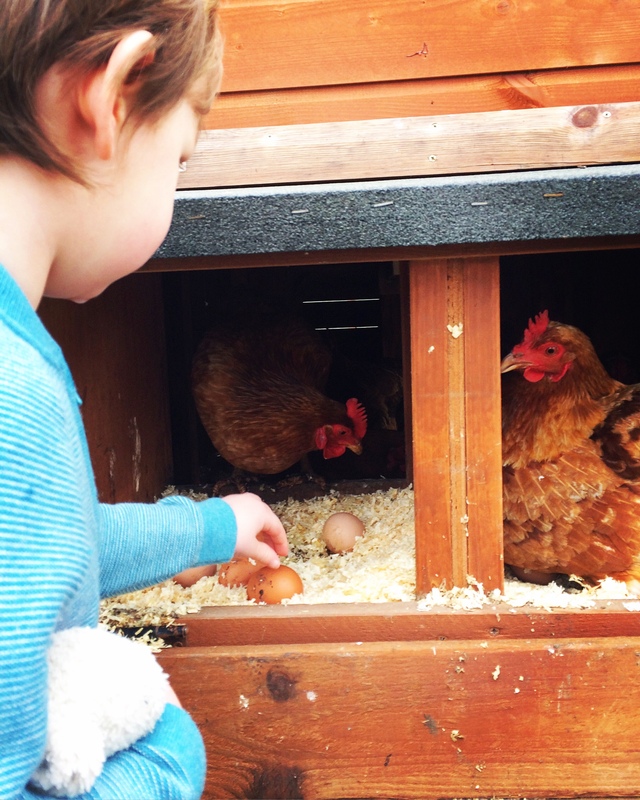 We were invited to collect eggs from the hen house as and when we wished. 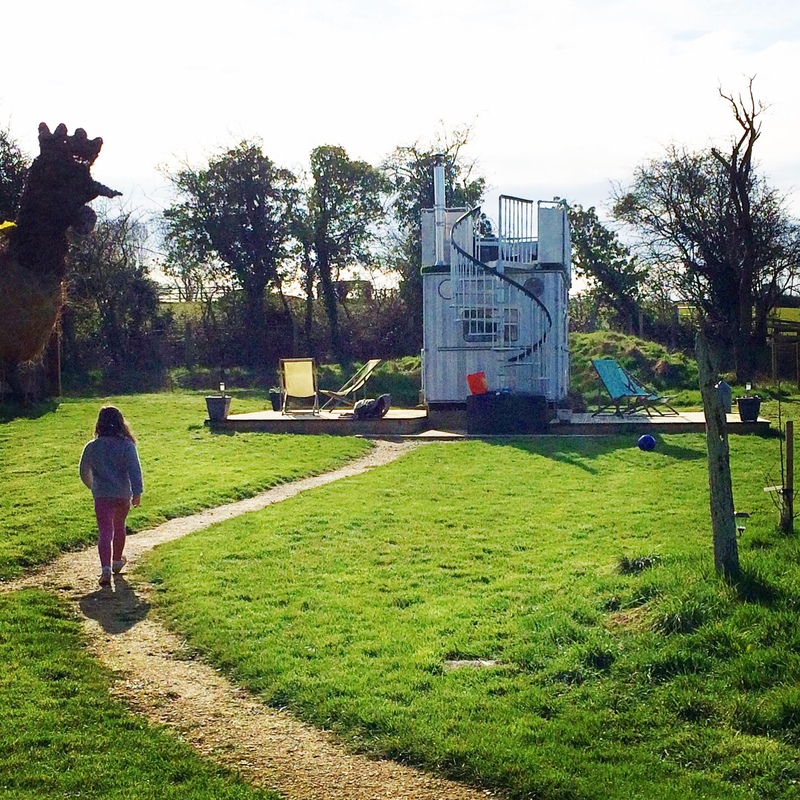 We were made to feel comfortable exploring the farm’s grounds and play areas….our children shared the trampoline with the 2 young boys who lived on the farm and were thrilled their holiday came with friends as part of the package! We were even invited to feed the farm’s one week old lambs, Cherry and Plum. 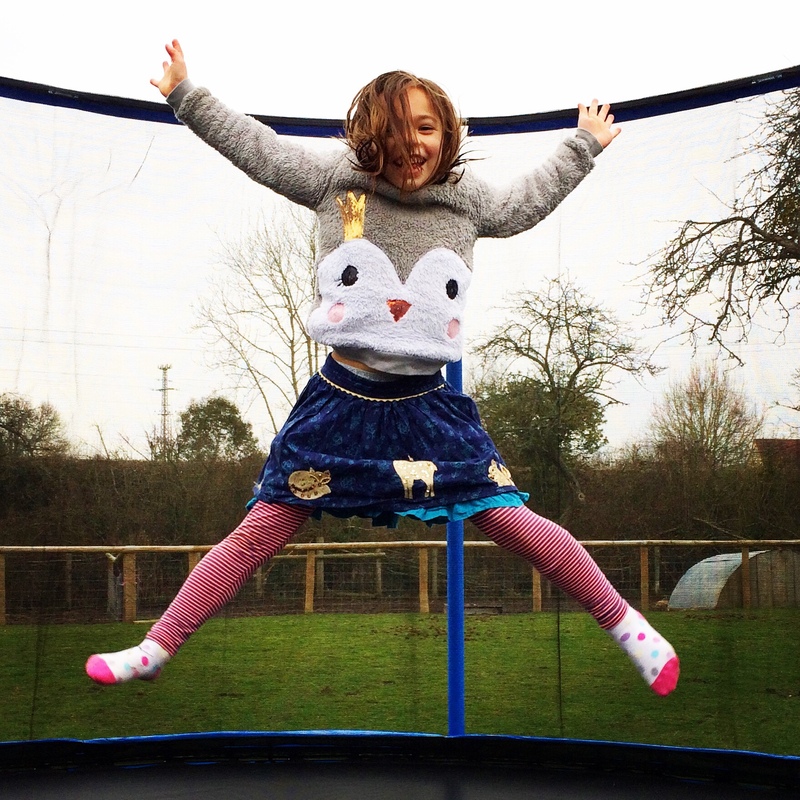 Our children loved the freedom they were given which in turn meant we felt relaxed. 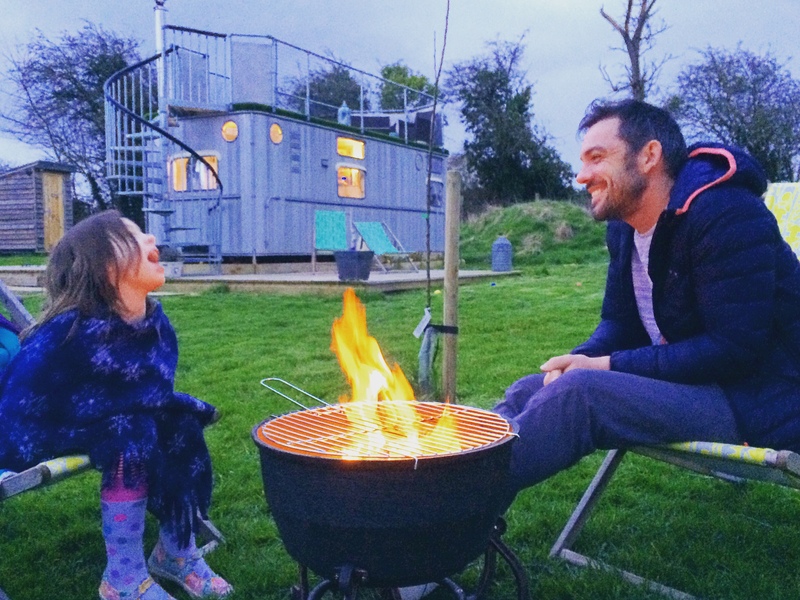 During our time at the Glamping Orchard we felt more like friends than guests…to say the owners made us feel welcome would be an understatement. 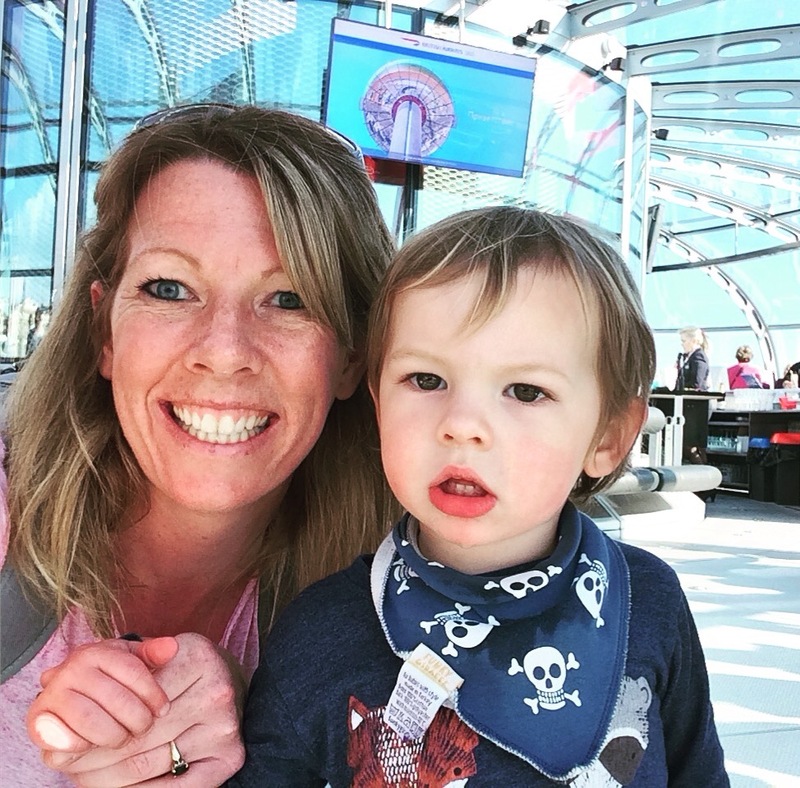 Our stay at the Warwick Knight was the perfect family weekend away. 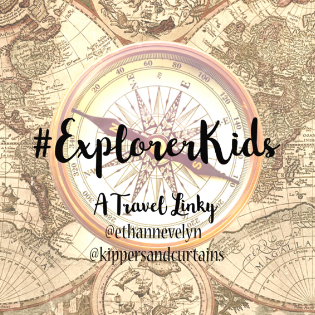 I have to admit, I was nervous about going away without a TV or WiFi to occupy the kids before we arrived…but the time we spent together dancing to the radio, chatting around the fire pit and playing games outside was certainly time well invested. We were all sad to leave this special place…perhaps we’ll stay a bit longer next time..? Disclosure: We received a complementary stay at the Warwick Knight in exchange for this review. All thoughts and opinions are my own. Thank you to Ali & Rich for inviting us to stay and making us feel so welcome. I love this 1950s caravan, they are so cool and trendy. It looks very cosy and warm inside with that fireplace. I also really like that climbing wall feature. Works really well to get the kids the bed nice and early. lol! I also like the idea of eco loo. Never used one before I’m intrigued. 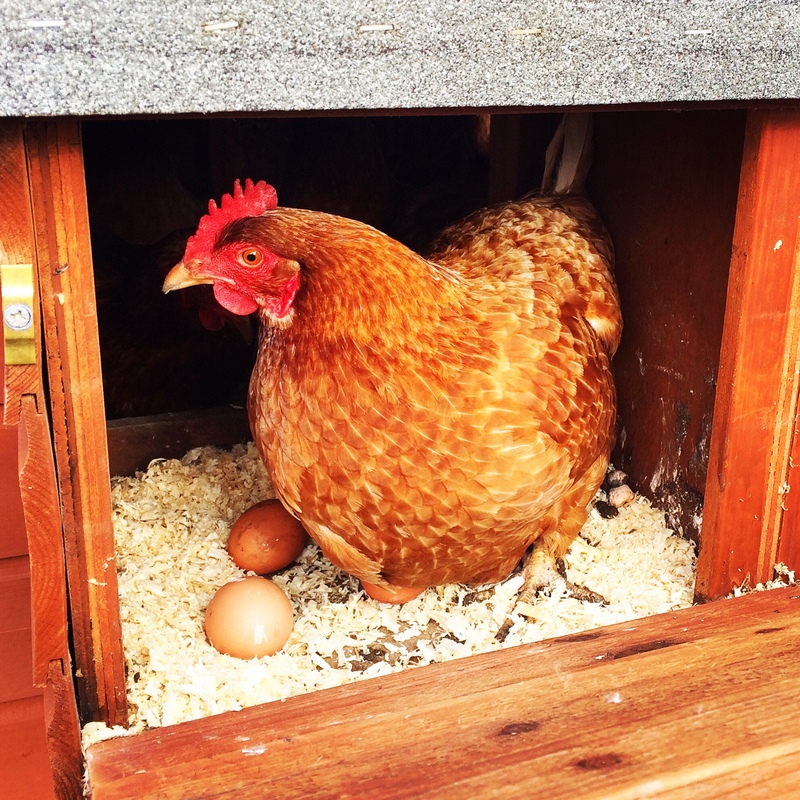 My kids would have love to collect the eggs and had them for their breakfast too. I bet that was quite a treat! This is such a beautiful place.